Discussion in 'Mayberry Lounge' started by Hi-Tech, Aug 5, 2016. If you like organized crime series like Sopranos or Breaking Bad you should definitely watch it. Gomorrah is inspired by real events that took place in the Naples criminal world, for me personally it's perhaps even the best series about organized crime I've ever seen because it's so realistic and it takes quite a fresh approach because every single character in the series is a villain. It follows the story of the Savastano clan which is mostly inspired by the Di Lauro clan. It's very highly rated (8.7 on IMDB) because of a dynamic storyline which is focused on mafia business only (no side issues like in the Sopranos with the shrinks and the regular family problems). The dialogues are great and quite original. It mostly takes place in the crime ridden Naples neighborhood of Scampia-Secondigliano but there are also scenes in Spain, Germany and Honduras, reflecting the global strength of the Neapolitan crime syndicate Camorra. Übermacht, Organic Damage, GrAtI and 1 other person like this. Rimbaud82, Organic Damage and Hi-Tech like this. The movie was good but the series is much better, much more dynamic and focused more on the highest level of the criminal underworld of Naples. It's mostly inspired by the real mafia war in the 00s, the so-called "Scampia feud" which was one of the most brutal mafia wars ever. The guy on the left who looks like Pep Guardiola is one of the most badass crime characters I've ever seen, Ciro di Marzio. Übermacht and Zer like this. Both the movie and the series are connected to Roberto Saviano who is a great expert on the Camorra and is under police protection. That's why I like about the series, it was made by well informed people and it covers all the aspects of criminal world as they really are in real life. Even though it's extremely brutal it's still realistic because those kind of things actually happened during the 00s and are still common today in Naples. I had high hopes for the movie but it bored me. The series is totally different. The movie mostly focused on "civilians" while the series is about criminals only. nvs1985, Übermacht and Hi-Tech like this. Was never a fans of movies, shows that glorify gangsters and the drug trade etc. Its stupid to even think they deserve the fame etc. But I'll still watch this kind of stuff; color me a giant hypocrite. Indeed. I noticed it got positive reviews from American audience as well after already being popular in Italy and Britain. Hopefully they make the 3rd season soon. 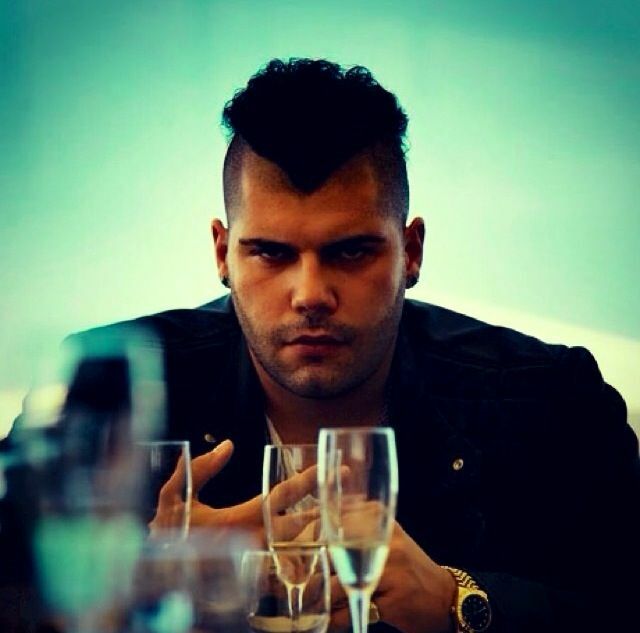 Gomorrah doesn't glorify it, every single criminal in the show is depicted as extremely unlikable sociopath, extremely greedy and without any redeeming quality whatsoever. It's unlike any American crime show/movie where there is much more romanticism involved. Is it only on Sundance? I dont have sundance on On Demand for some reason. I cannot see it. What about Netflix. or Youtube. Why dont Cinemax pick it up or something? Oh man, it's great to see some attention for Gomorrha. I'm the biggest Sopranos fanboy but this show is even more compelling. On the same level as The Wire imo. I think Genny is even more badass. GrAtI and Hi-Tech like this. Amazing TV shows, I highly recommend it. As another poster said, very few of the characters have any redeeming qualities. Certainly doesn't glorify the crime life, if anything makes you wonder why anyone would want to be part of it. 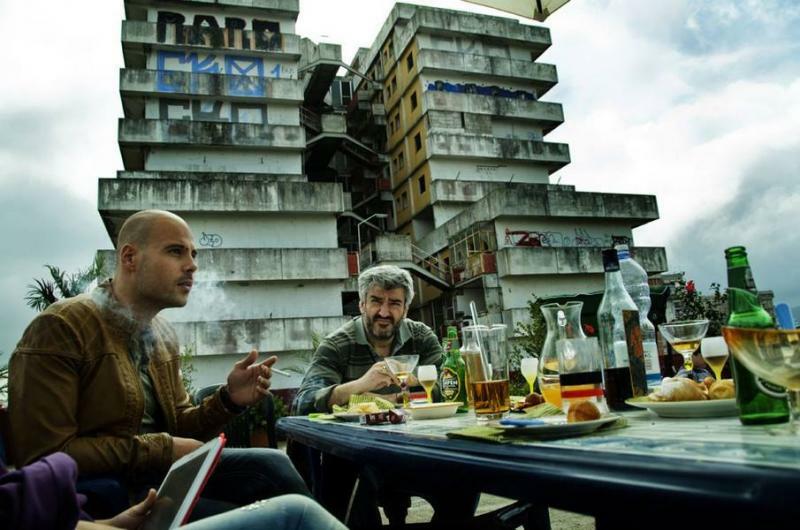 The show was made in cooperation with Roberto Saviano who is the leading expert on Camorra (organized crime in Naples) and has been campaigning against their criminal activities all his life. He's anti-mafia and the show has no intention to glorify it at all. But on the other hand they also did a good job IMO that they didn't go to the other extreme of some hyper-moralizing about it and having some good guy cops in there or something like that. Instead, there are no law enforcement characters who have any significant role in the show at all, it's all about mafia and they show high level organized crime how it is: a bunch of sociopaths having epic machievallian power struggle in the underworld, a bit like the violent Italian renaissance aristocracy but more ruthless. The show was made in cooperation with Roberto Saviano who is the leading expert on Camorra (organized crime in Naples) and has been campaigning against their criminal activities all his life. He's anti-mafia and the show has no intention to glorify it at all. Apparently he needs police protection 24/7 now since his book was released. Mokadelic has some great tracks, too. They made the instrumental tracks for the series, great stuff indeed. Other songs are mostly Neapolitan rap and "neomelodico" genre, it's a specific genre that's a bit of trash but I think it fits the series well since it's partly associated with criminals and it's the kind of thing that lower classes in Naples listen. Some neomelodico singers were even arrested due to their association with Camorra. It basically like (narco)corridos in Mexico. I felt robbed reading the book, back when it first came out. Second or third hand stories that, if I recall correctly, don't reveal anything new or really important. The one they based the movie on was interesting, as well as the tailor's. Overrated as far as info goes. Which website you watch it on?